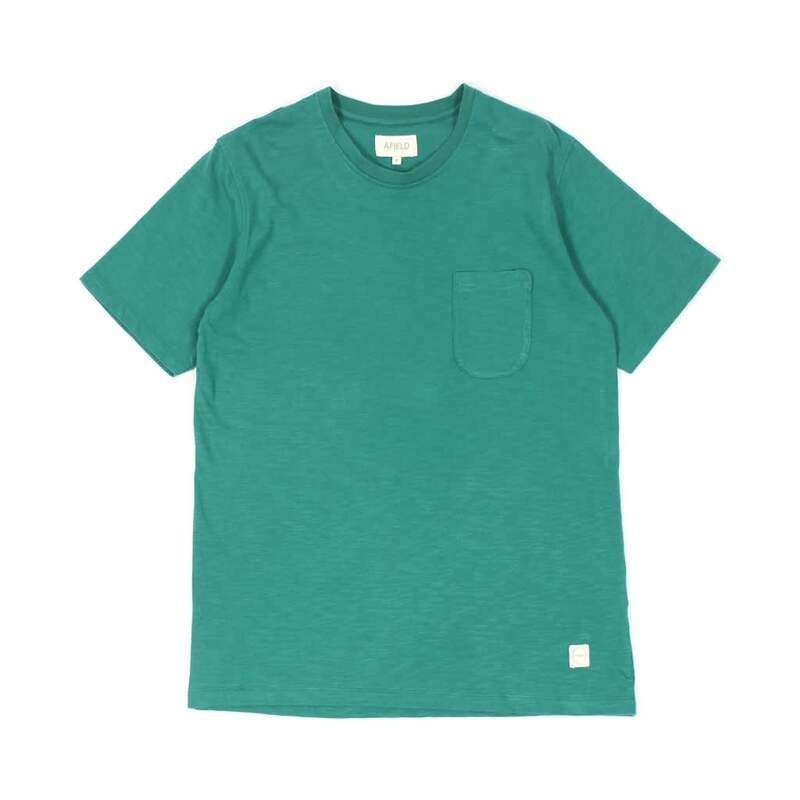 Short sleeved crew neck t-shirt from Afield with small chest pocket. An essential addition to any wardrobe, our plain tees come with a subtle slub effect on the jersey fabric to give them an interesting finish. Pre-washed for a soft laundered effect. Thread in Brighton, United Kingdom.